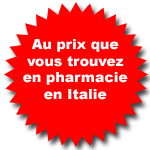 Étude clinique randomisée a confirmé l’utilisation de mélatonine (3 mg) comment prévention de la migraine a lieu de Amitripine (25 mg) et placebo. Plusieurs études montrent les effets de la mélatonine contre la migraine. Dans cette étude J Neurol Neurosurg Psychiatry le traitement avec mélatonine (3 mg) a eu de meilleurs résultats que le Placebo et Amitripiline (25 mg). Randomised clinical trial comparing melatonin ( mélatonine )3 mg, amitriptyline 25 mg and placebo for migraine prevention. INTRODUCTION: Melatonin has been studied in headache disorders. Amitriptyline is efficacious for migraine prevention, but its unfavourable side effect profile limits its use. METHODS: A randomised, double-blind, placebo-controlled study was carried out. Men and women, aged 18-65 years, with migraine with or without aura, experiencing 2-8 attacks per month, were enrolled. After a 4-week baseline phase, 196 participants were randomised to placebo, amitriptyline 25 mg or melatonin ( mélatonine )3 mg, and 178 took a study medication and were followed for 3 months (12 weeks). The primary outcome was the number of migraine headache days per month at baseline versus last month. Secondary end points were responder rate, migraine intensity, duration and analgesic use. Tolerability was also compared between groups. RESULTS: Mean headache frequency reduction was 2.7 migraine headache days in the melatonin ( mélatonine )group, 2.2 for amitriptyline and 1.1 for placebo. Melatonin significantly reduced headache frequency compared with placebo (p=0.009), but not to amitriptyline (p=0.19). Melatonin was superior to amitriptyline in the percentage of patients with a greater than 50% reduction in migraine frequency. Melatonin was better tolerated than amitriptyline. Weight loss was found in the melatonin ( mélatonine )group, a slight weight gain in placebo and significantly for amitriptyline users. CONCLUSIONS: Melatonin 3 mg is better than placebo for migraine prevention, more tolerable than amitriptyline and as effective as amitriptyline 25 mg.